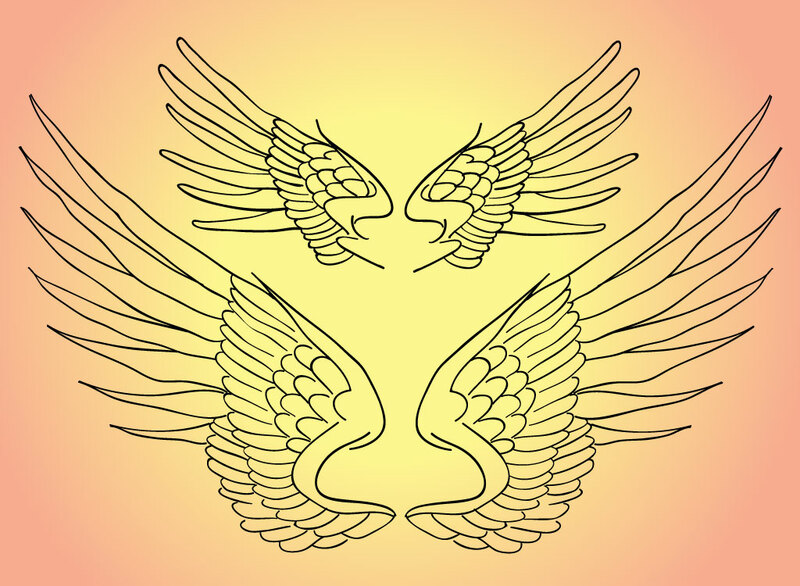 Two sets of hand drawn line art style wings to choose in this vector pack. Wings are symbolic of freedom, peace and spirituality. Download for your logos, t-shirts and collage illustrations. Tags: Dream, Fantasy, Fly, Freedom, Holy, Spirituality, Wings.